Hope you're having a great weekend. I sure am! I away in Michigan at a Leadership Training event but wanted to do a super simple project for you on this Saturday. 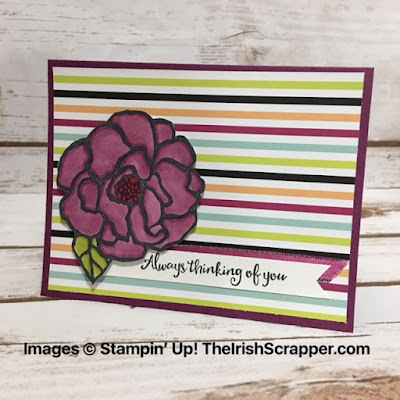 This project features the Beautiful Day stamp set which is a favorite of mine because of the large images. They are perfect for coloring with your favorite coloring tools. 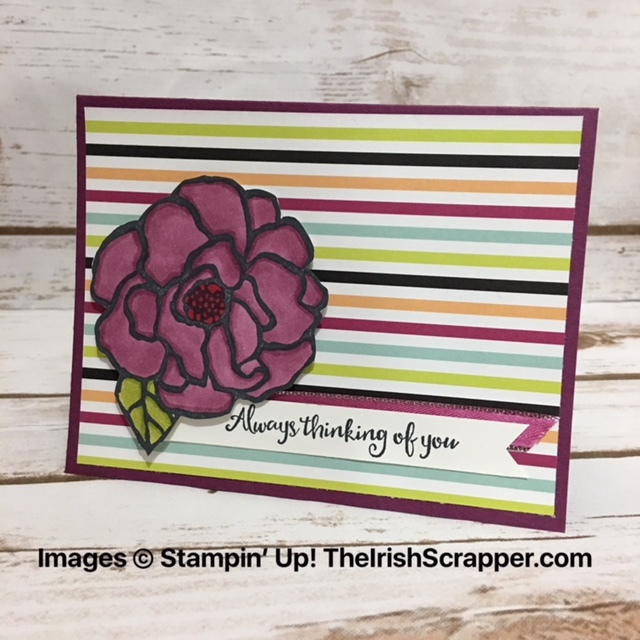 I am definitely partial to my Stampin' Blends. I LOVE them!!! I paired this image with some of the Picture Perfect Party Designer Series Paper.